BITHGROUP Technologies is proud to support Baltimore City Community College's Upward Bound Math & Science (UBMS) programs through assistance to the UBMS Book Scholarship Fund. The donation will be used to support this year’s 2018 graduating seniors as they move on to postsecondary education and later careers in math and science. The Upward Bound Math and Science program focuses on pre-college supplemental instruction that will strengthen the math and science skills of participating students. The goal of the program is to help students recognize and develop their potential to excel in math and science and to encourage them to pursue postsecondary degrees in math and science, and ultimately careers in the math and science profession. The year round program provides academic support in science, math, engineering, and biotechnology and consists of Saturday academic sessions, high school visits, an intensive six-week academic and residential program, and a college bridge program. Course work in English composition, literature, computer literacy, study skills, and leadership training supplement the academic services. Individual and group counseling on personal and academic matters in addition to financial aid information is readily available. The Daily Record announced last week that Robert Wallace, Bithenergy's CEO and President, is being recognized as a 2018 Influential Marylander. Congratulations to Mr. Wallace on this well-deserved achievement! 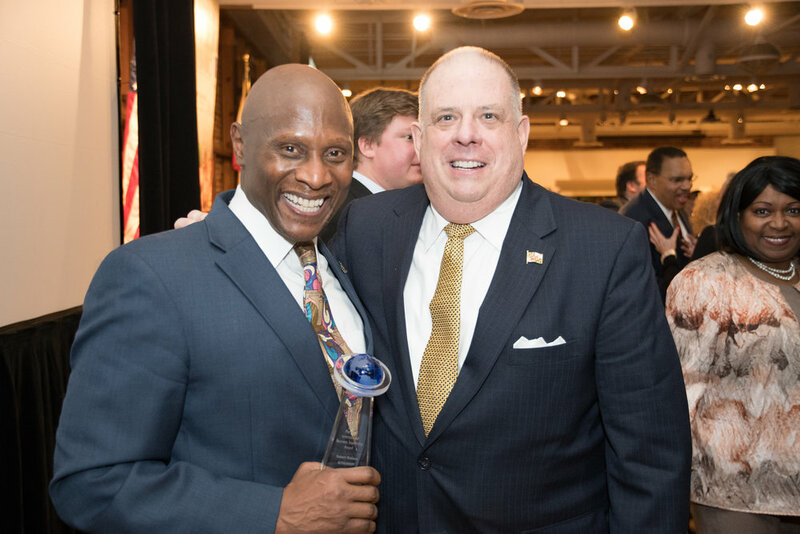 Influential Marylanders was created to honor individuals who have made significant impacts in their field and continue to be leaders in Maryland. These individuals are chosen by The Daily Record's editors for their contributions and leadership in the following areas: Civic Leadership, Communications, Education, Finance, Freestyle, General Business, Health Care, Law, Philanthropy, Real Estate, and Technology. The awards ceremony will be held at the Grand Lodge of Maryland on March 22, 2018. For a full list of this year's honorees, please visit http://thedailyrecord.com/influential-marylanders/winners/. Friday, March 9th, 2018, Harry Holt, VP of Operations, and Angela Evans participated in the Western Technology School of Environmental Science Career Fair. This is the third year that both, BITHGROUP Technologies and Bithenergy have participated. The career fair had over seventy organizations participating from larger to small businesses, non-profit, military, government sector and colleges and universities represented. The junior class demonstrated career-oriented thinking, ready to prepare their futures. 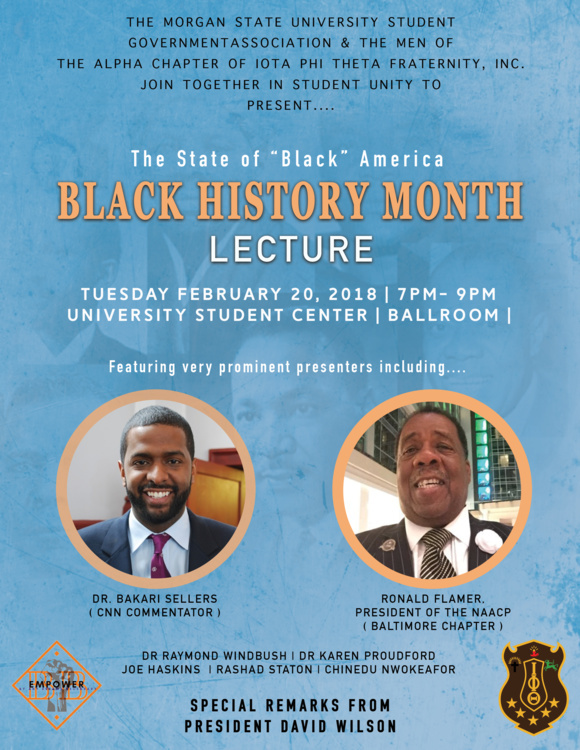 On Tuesday, February 20, 2018, The Morgan State University Student Government Association and The Men of The Alpha Chapter of Iota Phi Theta Fraternity, Inc., hosted a lecture on The State of “Black” America. Vice President of Operations of BITHGROUP Technologies, Harry Holt, participated in the panel discussion alongside prominent presenters including, CNN Commentator Dr. Bakari Sellers, President of the NAACP (Baltimore Chapter) Ronald Flamer, and many more. The event incorporated student Q&A, and conversation regarding the significance of HBCU’s. 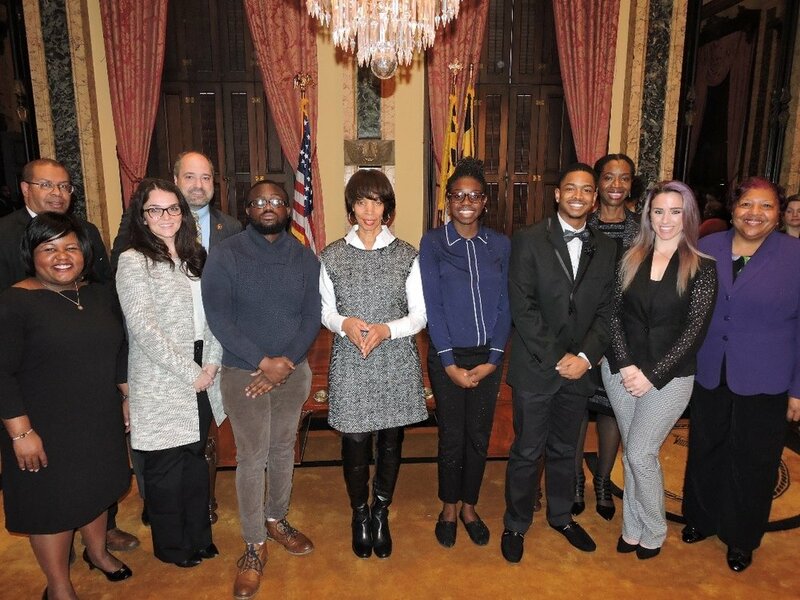 On Wednesday, February 7th, 2018, Vice President of Operations, Harry Holt participated in the Mayor’s Youth Works Press Conference at City Hall. The event was filled with YouthWorkers, employers and supporters who spoke about the importance of local businesses hiring youth for the Summer. YouthWorks is Baltimore City’s summer jobs program for residents between the ages of 14 and 21. Each year through YouthWorks, the Mayor’s Office of Employment Development (MOED) connects thousands of teens and young adults to meaningful summer work experiences throughout the city. Participants work in a wide variety of industries, including health care and social assistance, hospitality/tourism, finance, construction, the arts, and environmental/green jobs. BITHGROUP Technologies is attending the 108th Annual NAACP Convention in Baltimore! BITHGROUP Technologies and Bithenergy are participating and have a booth at the 108th Annual NAACP Convention in Baltimore, Maryland on July 25th. BITHGROUP and Bithenergy Founder and CEO, Robert L. Wallace, is speaking on a panel which explores ways to connect black communities to the renewable industry. The talk is titled: "Bridging the gap, connecting black communities to the green economy." BITHGROUP Technologies and Bithenergy are honored to be a part of the NAACP Convention and proudly support their efforts. The purpose of the annual convention is to establish policies and programs of action for the ensuing year. All actions of the Convention on questions of policy and programs, which are not contrary to the Constitution, shall be binding on the Board of Directors, the Executive Committee, the Officers and all Units, except as hereinafter provided. No resolution for change of policy or program of action shall be in order unless it shall have been favorably voted upon at regular legislative meetings of a Unit in good standing, or has been submitted by the President and CEO. The resolutions for policy or program change must be certified by the President and Secretary of the Unit, and received by the President and CEO in the National Office by May 1st annually. The Convention shall act on all such proposed program or policy changes during its Legislative Sessions. On April 25, 2017, Robert L. Wallace, President and CEO of BITHGROUP Technologies, was inducted into the Minority Business Hall of Fame. This accomplishment recognizes the pioneering individuals that have overcome adversity and led successful ventures, paving the way for the next generation of minority business leaders. The Minority Business Hall of Fame and Museum Inc., The University of Washington Foster School of Business, and other corporate sponsors, honored Dr. Wallace at an awards dinner held on April 25th at the Entrepreneurial Development & Assistance Center in the Earl G. Graves School of Business & Management, Morgan State University in Baltimore, Maryland. "One of the goals of the MBHF&M has been to hold an induction ceremony at one of the Historically Black Colleges and Universities," said John F. Robinson, president & CEO of the MBHF&M. "The Entrepreneurial Development & Assistance Center (EDAC) at Morgan State University is such a venue for us to realize this ambition. We are indebted to Omar Muhammad for being our host to honor these outstanding trailblazers and pioneers." Robert L. Wallace graduated from the University of Pennsylvania with a B. S. degree in Mechanical Engineering and Applied Mechanics. He earned a Masters in Business Administration from Amos Tuck School of Business at Dartmouth College. He has founded three companies: BITHGROUP Technologies, Bithenergy, and EntreTeach Learning Systems. Robert L. Wallace is an accomplished engineer, entrepreneur, author, business consultant, and internationally known keynote speaker. He also serves on numerous boards and commissions. On Thursday, March 9, 2017, BITHGROUP Technologies, Inc. and Bithenergy, Inc. hosted thirty-five students and two teachers from the Western School of Technology and Environmental Science on a full day field trip to learn more about Maryland’s robust solar industry. Starting out in West Baltimore at Chimes International, an organization that supports people with disabilities and special needs, the students had the opportunity to tour a completed solar panel installation. This installation consists of three roof-mount solar installations (225KW), an onsite solar ground array (700 KW), as well as an energy monitoring system that tracks energy usage, visible in the Chimes lobby. At Chimes, the students also had the opportunity to meet with the President of Chimes, Mr. Terence Blackwell, and they learned more about Chimes and the impact of this renewable energy project. Later the students visited the Nixon’s Farm installation in Howard County, where they observed and discussed larger solar installations and their impact on the community and environment. This installation includes a 1.5 MW Ground Mount Solar array that provides energy to Chimes and a 2 MW Ground Mount array that provides power to the Columbia Association of Howard County. The field trip concluded with an industry overview and company specific presentation in an office environment which exposed the students to the many career opportunities and other facets in the industry. The students learned about Energy Audits, Commissioning, LEED Certifications, Power Purchase Agreements, Solar Renewable Energy Projects and Renewable Energy Project Financing. The students also engaged in discussion with Bithenergy staff about how we can all change our behaviors at home to be more environmentally responsible. Finally, the students learned about how various engineering disciplines, such as chemical, electrical, civil, mechanical, environmental, mathematical and business areas such as accounting, finance, marketing, management, can all be utilized to work in an industry in which they can build a strong career while also engaging in improving the environment. The students asked insightful questions and demonstrated a strong foundational knowledge of science, technology, engineering and math. A major milestone was reached within the Maryland State Department of Education. The Child Care Public portal was opened for the first time to Parents and Providers. This portal allows Parents to apply and submit child care applications online and upload various documentation as needed. The portal also allows for those Providers that watch the children to apply for and update licenses and submit child care invoice amid a whole host of other options. This major task was completed with the assistance of BITHGROUP staff that performed Quality Assurance and User Acceptance Testing. On October 27th members of the BITH team volunteered at Moveable Feast, an organization that provides nutritious foods and other services in order to preserve quality of life for people with HIV/AIDS and other life-threatening conditions. Our team happily stepped forward and will definately do it again. BITHGROUP Technologies VP, Harry Holt commented, "It was a blast, a lot of fun. It really felt great to give back to the community - especially an organization as well respected and known for their charity." Moveable Feast is always seeking new volunteers and donations, feel free to view their website below for more information! Harry Holt, BITHGROUP's VP of Operations was presented the MBE Top 100 award on Saturday, September 30th. The Top 100 MBE awards were created to recognize those enterprising minority entrepreneurs that fuel the region’s economy through their innovation, sacrifices and dedication. These business owners are living their dreams and making significant contributions to their clients, professions, industries and communities. These incredible men and women achieved the American dream of business ownership despite the obstacles in their path. Their stories are real and their contributions are inspiring. July 2016- BITHGROUP Technologies is on a team that was awarded a contract with the Washington Metropolitan Area Transportation Authority (WMATA). This contract provides the opportunity to bid on IT projects in the Network and Communications and Information Technology Security arena. The contract begins this summer and has the potential for several optional years. BITHGROUP Technologies will provide senior network engineering and information technology security personnel to work on the WMATA IT infrastructure. In addition, there is the opportunity to provide senior helpdesk technicians and infrastructure project managers on this project. On June 15, 2016 Dr. Robert L. Wallace was awarded the "Unsung Hero Award" at Small Business Association's Award Ceremony Luncheon. He received the award due to his unique approach to addressing economic hardships that loomed ahead of BITHGROUP Technologies during the crash of 2008. Wallace was able to shift focus to new ventures, rather than lay off employees. This dynamic idea gave birth to Bithenergy, now one of Baltimore's leading Renewable Energy Companies. Below is an excerpt from the letter to the Small Business Association, nominating Wallace for the award. Since I began my tenure in 2004 I have watched Mr. Wallace lead our company and other small business leaders through many storms. Wallace is consistently ahead of the curve. In difficult times when other small businesses faith is failing he has a knack for knowing the precise moment to turn the corner and point our company into a new and exciting direction. He calls it a “pivot point”. When the U.S. economy began to spiral fear struck a lot of small businesses. Our phones began to ring off the hook from small business owners seeking wisdom and guidance from Mr. Wallace. Robert encouraged each and every business owner to ride out the storm. He inspired them to find their niche, stay focused, and operate in excellence. Our company was not exempt. We were faced with some of the same issues as the other small businesses, however, Robert pivoted and introduced new lines of business in the areas of energy and biometrics to our team. Both areas of business proved to be very lucrative not only for our company but for the community in the area of job creation. On Friday, June 3, 2016, Founder and Chief Operating Officer Robert L. Wallace of BITHGROUP Technologies received the Joseph Tyler Award from the National Technical Association in recognition for his lifelong contributions to expanding the opportunities of minorities and minority youth in the technology arena. Dr. Wallace also delivered the key note speech entitle" Preparing our Youth for Technological Global Economy" which focused on informing youth how they can better prepare themselves to leverage technology and the entrepreneurial spirit to participate in the global economy. BITHGROUP actively works with minority youth annually through sponsoring internships to high school and collegiate students. The National Technical Association, Inc. was established in 1926. Its purpose was to create a medium for expressing minority professional concerns for the lack of minority participation in the mainstream of architectural and engineering activity in America. Today this goal has not changed, but has expanded to include a major concern for the participation of minority youth in meeting the challenge of modern technology. Also for youth who have dropped from the challenge, NTA encourages them to seek allied programs to suit their interest and needs. NTA architectural, engineering and scientific membership volunteers its services nationally to assist public institutions in identifying potential minority technical talent. Public Institutions where the service is encouraged includes high schools, colleges and in the recent past, penal institutions. NTA has spent the ensuing years gaining nation attention through its programs of encouragement to students and professionals alike. The organization has enlarged its goals beyond just gaining economic recognition to include making minority youth aware of the opportunities being made available to them. April 21, 2016- BITHGROUP Technologies, a top IT services company, was selected as one of Baltimore Business Journal’s Tech 10 representing the top 10 leaders in the technology community of Baltimore. BITHGROUP Technologies was chosen as one of the top technology companies in Baltimore due to the reason that they are the ones helping the city “move forward”. BITHGROUP Technologies, Inc. is assisting Baltimore to stride toward the future with their broad range of IT services ranging from enterprise services, health information systems, energy management information systems identity services, and hardware/software sales. Below is the link to the top 10 honorees for Baltimore Business Journal’s Tech 10. BITHGROUP Technologies is a leading IT services company with more than 24 years of experience working with local, state and federal government clients in developing IT solutions. The company’s expertise includes enterprise services, health information systems, energy management information systems identity services and hardware/software sales. Please visit www.bithgroup.com for more information.